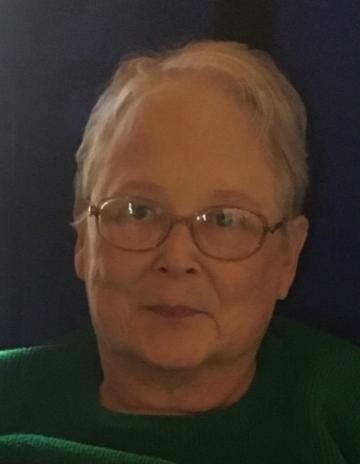 Obituary Notice for Margaret Rose "Peggy" (Bustin) Young | Pepper Funeral Homes & Cremation Facility, Inc.
Margaret “Peggy” Young entered eternal rest at her home in Troy, Pa on Wednesday, January 23, 2019 at the age of 68. Margaret Rose was born March 20, 1950 in Sayre, Pa, a daughter of the late Paul and Alice (Homan) Bustin. 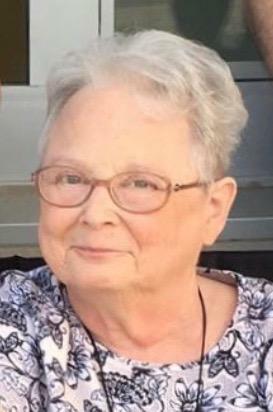 She attended Athens Area High School where she was a graduate of the class of 1968. After high school she attended Misericordia University and Lock Haven University. Peggy was the manager of Widmann’s in Troy and Canton, Pa until her kidney transplant and retirement in 1995. Following her kidney transplant, to promote organ donor awareness, Peggy then attended transplant games in Salt Lake City, Utah, Sydney, Australia, Orlando, Fl., and participated in Columbus, Oh. Peggy was a woman of faith. She was a member of the St. Johns Catholic Church in Troy, Pa, St. Johns Alter & Rosary Society, St. Johns Choir, and was active in the Canton Area Ministerium’s annual Christmas Conglomeration held at the Canton Church of Christ Disciples of Christ. She always enjoyed the Saturday morning “breakfast club” at the Iron Skillet in Sylvania. She was an avid reader, loved music, singing and especially loved conversations with her family, friends and neighbors. She could have an engaging conversation with anyone she met. She always looked forward to her cousin visits at Lake Wesauking and visits from her grandchildren. She loved to attend their sporting and school events when she could. Surviving is her former husband of 42 years and best friend, Dale Young, a daughter Jennifer (Chris) Page, a son Darin Young, sisters Nancy Bustin (Rick Callear) and Marylou (Mike) Allen, a brother Michael (Sheryl) Bustin, 2 grandchildren Devin and Macey Page and several nieces, nephews, great nieces, great nephews, cousins and her neighbors and friends at the Paul Reynolds Apts. in Troy, Pa. Besides her parents, Peggy was predeceased by a sister Ann Maynard, a niece Lisa Hawken and a nephew Christopher Watkins. Visitation will be from 1-3 p.m. Sunday, at Pepper Funeral Home and Cremation Facility, 578 Springbrook Dr. in Canton. Father Joseph Kutch will officiate a Mass of Christian Burial 10 a.m. Monday, Jan. 28, at St. Michael’s the Archangel Roman Catholic Church, at Washington and Union Sts., Canton. Burial will follow at the Immaculate Conception Cemetery in Ulster, Pa.
Memorial’s in Mrs. Young’s name may be made to Gift of Life Family House, 401 Callowhill St., Philadelphia, Pa 19123 www.giftoflifefamilyhouse.org or St. Johns Alter & Rosary, 106 N. Washington St., Canton, Pa 17724.